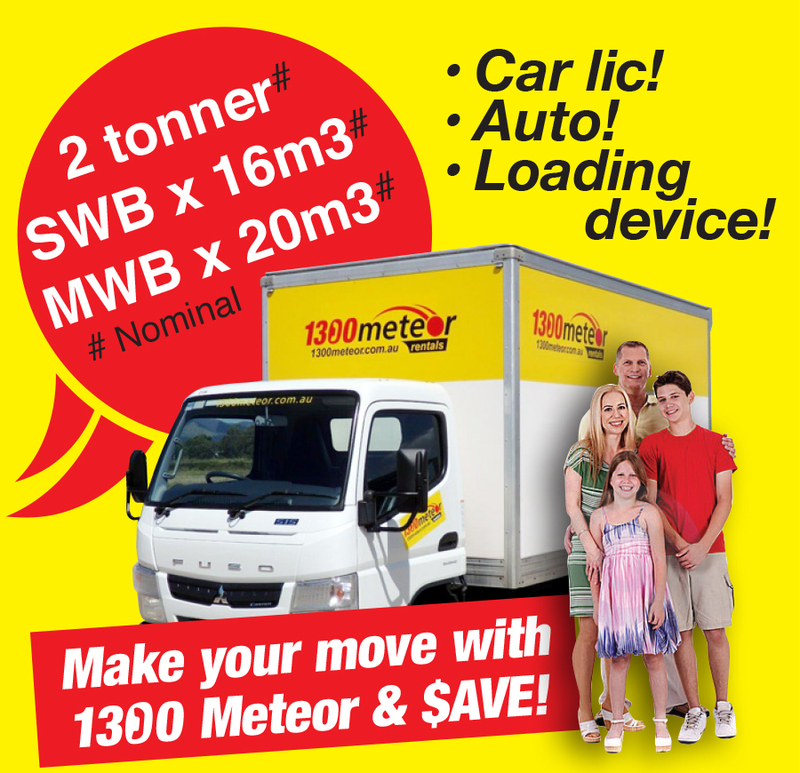 Why 1300 Meteor is your First Choice For Truck Hire Townsville! Furniture truck & trailer hire Townsville, adj. airport (free pickup), largest most modern fleet in NQ! Move yourself & Save, local & one way! 7 to 40m3, auto car lic models available! Check out other trucks in our range, including tray & dropside trucks, tippers and crane trucks - only the best gear you can rely on! Drivers' Log Books are not required to our furniture truck range! We provide straight and honest advice and truth in advertising. For instance, when you see a hire company advertising that you can drive a 3 tonne truck on a car licence it saddens us to say that they are having a lend of you! Traditional practice is to describe a truck by its nominal payload ie the approximate weight / load that the truck can legally carry, and this is how we describe our trucks. Truth be told the actual legal payload of a car licence furniture truck with a tailgate loader is closer to 1 tonne to our competitors trucks, and around 1.5 tonne to ours thanks to our careful attention to truck and body specification. How do you make the right choice of supplier in Townsville? Who can you trust to look after you with a great deal for a quality furniture truck (&/or furniture trailer) and the service and professionalism you deserve and are paying for? We believe our customers are our best referee - check out our reviews! We provide a free Townsville Airport pickup service to any renter of our motor vehicles! This includes cars, people movers, light commercials, 4WD's and trucks. Our local office adjoins the airport, in close proximity to the Strand (a world-class beachfront promenade with pools & parks, accommodation, eateries), Casino, Magnetic Island ferry terminal, entertainment Centre, CBD, Townsville 400 track, the new Stadium being built, and the Bruce Highway to Cairns or Brisbane. Click on RENTAL INFO for full details. Picking up in Townsville and finishing at another destination? 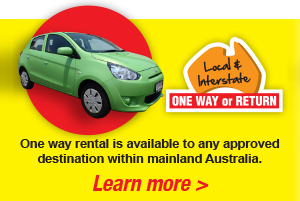 No problem - 1300 Meteor offers one way rentals to most locations in mainland Australia! Usage of our furniture trucks is permitted to unsealed gazetted roads, and our standard Loss and Damage Cover remains valid to such use. What size truck best suits your application? On our menu under Moving House to the top of the page (or the link below) select the Furniture Volume Calculator and our simple to use calculator will allow you to easily estimate the total volume of furniture you have to move, and provides our recommendations regarding the best furniture truck and/or trailer option for your move! Our discounted moving accessory package includes a fridge trolly, 4 ropes and 4 removalist blankets (pads) additional ropes & / or blankets are available to suit your requirements! Our rates for accessories can be found when progressing though our Booking / Quote Request form. Of course our trolleys can be used for a lot more than just fridges - other appliances, cartons of books and crockery etc can all be back breakers - move the easy way with the right equipment! Check out our quality furniture truck fleet, our highly competitive rates, and the value! Click on a furniture truck below for full details & covering video clip!